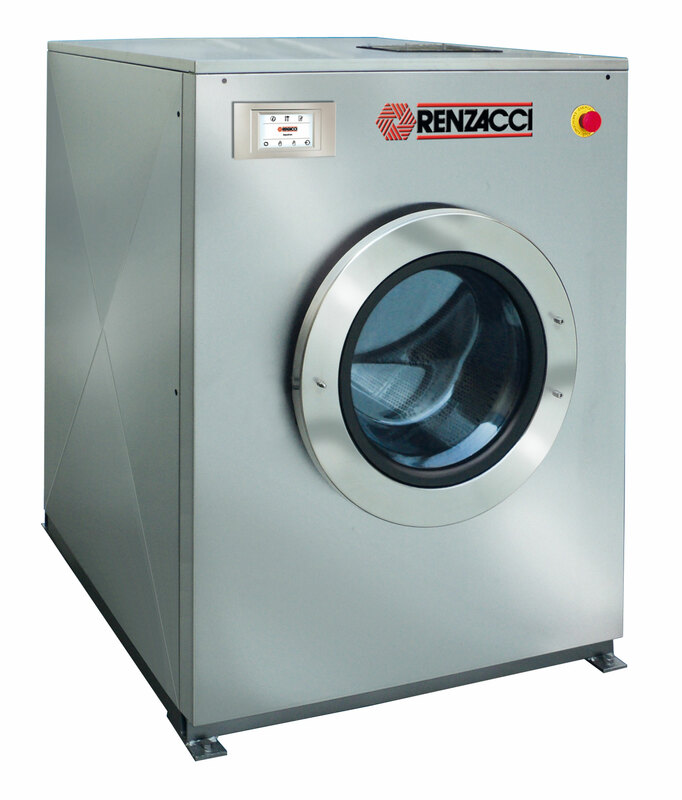 Years of research and development at Renzacci led to the creation of the SX Series Washer Extractor. This versatile, front-loading laundry equipment is ideal for a wide range of industries and notably useful in the self-operated coin laundry industry. Using advanced technology, the SX Series Washer Extractor is simple to use, easy to maintain, and is fully capable of cleaning a vast array of garments and fabrics. The SX Series Regular Spin Washer Extractors are available with regular spin in 25 lb, 36 lb, and 50 lb models and are available in Extra Spin 25 lb, 36 lb and 50 lb models. The SX Series Washer Extractor has a reinforced stainless steel frame with oversized long-lasting shaft support, and bearings. Our laundry equipment provides effective cleaning that uses an improved G Factor and electronic inverter to lessen wrinkling and is functional for both large loads and delicate garments. It also comes with the innovative Aquatron computer interface. It is easy to use and offers maximum flexibility. The OTC (one touch clean) is easy and accessible thanks to the innovative touch screen system with graphic and ultra-polarized LCD display. It is now possible—with just one touch—to quickly create an almost infinite combination of times, pauses, and drum rotations for the treatment of even the most delicate garments. Control bath temperatures and levels, customizing each one according to the garments to be washed. The Multicheck System takes the guesswork out of your cleaning techniques by offering real-time guidance and self-diagnostic checks! With a minimum of 50 programs (that can be re-set at any time), the Aquatron is the ideal computer for the most modern wet cleaning techniques! If you’re looking for versatile laundry equipment for your business, rely on the SX Series Washer Extractor from Renzacci-USA. With our machines, you’ll have the backing of decades of experience, industry expertise, and long-standing quality to support your business. Call us to speak to a representative or fill out our online form for more information.